The history of intermedia art in Slovakia started in the 1960s, when its first indications emerged. In the case of the following two creators their form was close to the definition of D. Higgins, who marked the creation and activities of artists located between at least two or more media as intermedia, e.g. already existing forms of art. From this perspective, we may consider one of the first intermedia activities the implementation of improvised scenarios by Vladimír Popovič (1939), especially for Saint-Exupery’s staging of The Little Prince in 1959, where elements of fine arts were encountered in the performances on the stage of Bratislava’s Astorka Theater – props, lighting collage of projected images and kinetic objects – a light mobile. Vladimír Popovič, along with Elo Havetta, Juraj Herz, Milan Sládek, Juraj Jakubisko and artist Stanislav Filko, Michal Studený, Peter Bartoš, Jozef Kornucik and Anton Cepka founded Divadlo obrazov (Theater of Images) (1958 – 1962), which offered performances with integrated features of shadowplays, projected images, objects and photographs. Another creator with a highly readable affinity for the Fluxus notion of intermedia is Milan Adamčiak (1946). 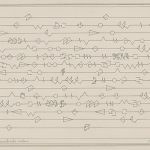 In the 1960s he created several pieces of visual experimental poetry, able to musicalize three-dimensional scores, three-dimensional objects, according to which musical production was possible. On the basis of these starting points he organized events involving theater elements, also in cooperation with other creators, such as the playing of a musical instrument (as an active musician) or the play itself, to which the viewer was invited as a co-creator of the work. His musical projects implemented in selected areas influenced by John Cage had a significant intermedia character, for example, the recitation of Symphonic Poem by György Ligeti for 6 players and 100 metronomes or Water Music in 1970 in an indoor swimming pool, where musicians played underwater. A type of intermedia is generally characterized for the period of the 1960s, which can be considered as a proto-form of installations and video installations. Their typical feature is also the emphasis on the element of communication with the audience – interactivity, which subsequently became an iconic sign of intermedia art and new media. Interactivity is more than readable in the case of the environmental Stanislav Filko (1937), who produced from the second half of the decade. This included objects, hanging paintings, and later sounds and flowing images. They offered the viewer a complex spatial, visual and audio experience. From 1968, in Filko’s environmental Katedrála humanizmu (Cathedral of Humanism) and Kozmos (The Cosmos), there can already be traced the seeds of new media art, since he incorporated slide shows into them and a live radio broadcast. An artist directly involved in the activities of a group of New Realists led by theorist Pierre Restany is Alex Mlynárčik (1934). The New Realism tendency arose in the early 1960s in France. Its representatives used a form of modernist art from the first half of the 20th century (especially readymades, collage, object-trouvé, designed kinetic objects) in new contexts and with the aim of connecting art with the style and iconography of a big city, media and merchandise (Štofko, 2007, p. 200-201). Alex Mlynárčik is the author of several interactive environmental works, for example, Villa dei Mysterii from 1968 (part of the permanent exhibition of Slovak Fine Art of the second half of the 20th century in the Bratislava City Gallery), which contains a dimensional print, lighting effects, mirrors and produced music, eventually the co-creator of the work – in implementing the elements of a happening in Temptation – Permanent Rallies II from 1967 (co-creator Miloš Urbásek), where the viewer was asked to leave a signature/inscription on female mannequins. In addition to Mlynarčík’s environments represented by his typical construction based on the combining elements of action art, conceptual art and pop art, there are Ivan Štepán’s (1937 – 1986) “testing environments”, presented as other forms of intermedia realizations e.g. Optiterciálny stabiloid (Optitercial Stabiloid) (1968), Hmatové štúdio a Optipolytón I. (Tactile Studio and First Optipolytón) (1970), in which he tested the audience through the use of sensory predispositions (hearing, touch, sight). Milan Dobeš’s (1929) environments drew from then current light-kinetic tendencies, especially the generously realized Pulzujúci rytmus (Pulsating Rhythm) (1968) for the Documenta 4 exhibition in Kassel, which combines movement, light and reflective surfaces. 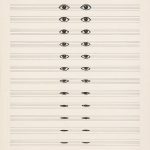 The American Wind Symphony Orchestra (1971), played by graphic scores, is also his remarkable light-kinetic project. The author synchronized the operation of this light presentation according to the playful nuances of the orchestra during a concert. In that period, the unique feminist aspect was reflected in Jana Želibská’s environments (1941). During her work’s presentation in the exhibition halls (Exhibition: Možnosti odkrývania (The Possibilities of Exposing) in 1967 and Kandarya Mahadeva in 1969), the artist grasped the only spectacular work/environment in space, where in addition to the paintings of acts of female bodies or their silhouettes with assemblages of inserted mirrors and flowers on deployed panels, the atmosphere was enhanced by curtains, lights and music. Slovak art of the late 60s was characterized by intermedia forms of environments being often linked with elements of action art, especially with performance art and happenings. In addition to the mentioned environments, Alex Mlynarčík accomplished more environments in this line, in which their action part was exhibited in a more legible form, e.g. the spectacularly organized Donácia (Donation) (1969) project under the The Sixth Biennale in Paris, where he invited artists to donate any objects and after their accumulation he immediately burned them. Significant exhibitions (curated by Ľubor Kára) were accomplished at the end of the decade, declaring the intersection of intermedia art and the existence of proto-forms of new media art in the Slovak Republic. 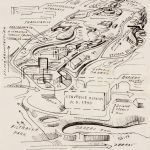 The international Sculpture of Piešťany Parks project (1969) presented the current tendencies in the field of sculpture and objects, heading towards the intermedia zone (A. Calder, N. de Saint – Phalle, César and others were exhibiting). Polymúzický priestor I. Socha, objekt, svetlo, hudba (Polymuse Space I – Sculpture, Object, Light and Music) exhibition in Piešťany parks became a turning point, where in-situ realized environments he placed an emphasis on the regrouping of different kinds of art, on the time entry into the work and on a new perception of space and matter. In the present evaluation of that event, we can then consider the “polymuse” attribute as “multimedia” or “media”. It is necessary to add to the intermedia art history of the 1960s, that as in the form of art synthesizing several kinds of fine arts, these overlaps had very intensively expressed themselves also in the form of an object in a wide range of its typology (except from the environments’ form): in various modifications on the readymade basis as the found or taken over object, created by means of informel, pop-art and art-brut strategies or in its constructed form. We are talking about geometric-constructivist, kinetic, and in particular lumino-dynamic objects. In connection with a more legible transferring of the focus to the non-materialistic and ideological understanding of the work, which was reflected in the second half of the decade, the object has become rather a symbol, an emblem of the situation or the artist’s gesture. This applies particularly in the field of conceptual-action realizations of the already mentioned Alex Mlynarčík and Stanislav Filko. In our circumstances, the 1970s and 1980s were characterized by the withdrawal of generous spatial realizations, by transferring the interest to non-materalisitic media in conceptual, action art and body art strategies. Thus an object, as a form of intermedia art, primarily as a found or modified readymade, adopted a specific position – in addition to its aesthetic reference, was a medium with distinct reference to the current cultural framework and at the same time a particularly integral part of the action and conceptual works. In this regard, ephemeral objects – the small mirrors of Michal Kern (1938 – 1984) should be noted, as a tool for his ritual events (simple and short actions) in the landscape, which he realized toward the end of the 1970s. Dezider Tóth (1947) offered within his conceptual program a series of books/objects as modified readymades and linking artistic object with the literature, but especially with the text, and thus with its multifarious symbolicism and the semantic meanings that the book and the text contain. The objet trouvé/small found objects of daily use (or its parts) of Otis Laubert (1946) were distinctive and accumulated during the long-standing fine art project, then he subsequently assorted them and created assemblages, later installations during the 1980s and 1990s. Intermedia art has, in addition to its static forms, also a second feature, which was created through generating from the positions defined by D. Higgins as “action music, musical actions, but also happenings and events – and conceptually are based on music, literature and fine art” (Šofko, 2007, p. 123) Concerning this, we are talking of such intermedia forms that are active (action forms) in their essence. Such manifestations can be found in the works of the already mentioned mutiple artists since the end of the 1960s, particularly in Alex Mlynárčik’s work, who transferred from environments with the viewer’s active participation to the realization of a happenings/celebrations at the beginning of the 1970s, which were established on already existing fine art works (Evina svadba (Eve’s Marriage), 1972, Memoriál Edgara Degasa (Edgar Degas’s Memorial), 1971 and 1. festival snehu (First Snow Festival) in 1970 in collaboration with Miloš Urbásek, Milan Adamčiak and Róbert Cyprich). Peter Bartoš (1938) carried out events with the use of natural materials and he simultaneously used the natural features of natural processes (e.g. gravity, melting snow). Róbert Cyprich (1951 – 1996) cooperated with Milan Adamčiak in several musical happenings (e.g. Vodná hudba (Water Music)) at the turn of the 1960s and 1970s. From his separate musical-action manifestations, his “dumb” interpretation of Cage’s song “The Time of the Year Cage 1979”, lasting for 4 minutes and 33 seconds, was his outstanding manifestation. 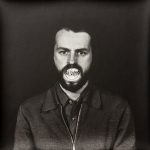 The intermedia overlaps of Vladimír Kordoš’s work (1945) have been shown in activities aimed at the interpretation of art history during the 1980s, in which was linked the action elements of performance art and arranged photography. The artist also sporadically integrated ballet elements into the performances/actions. Peter Kalmus’s (1953) realizations were characterized by an overlap between performance art and music in 1987 and 1989, which consisted of creating an action image through the skates’ intervention into a color layer prepared in advance on the board while dancing to rock ‘n’ roll music. Juraj Bartusz’s (1933) projects were a valuable contribution to intermedia activities. His time-based drawings and series of thrown bricks into solidifying plaster, realized since the mid-80s, were attempts at capturing the accumulation of a gesture’s energy. Discontinuity is a typical feature of the art history of new media in Slovakia. It results from the forced interruption of the natural development of this media after 1968, when fine art was compressed into an ideological framework. The fundamental problem was the lack of adequate technical equipment, the unavailability of relevant software and the significant financial demands of obtaining the requisite technical apparatuses during the release of the pressure of real socialism during perestroika (and similarly in the 1960s), which greatly hampered or possibly stopped progress in this field for a while. A typical feature of the first manifestations of electronic art – mainly concerning computer graphics in Slovakia during the 1970s – is the existence of the artist – a programmer tandem that assisted during the work of art creation. It is also characteristic that the pioneers of this media are more sculptors: along with the painter Daniel Fischer (1950) and his computer visual transformations of shapes, there were mainly Juraj Bartusz (1933) and Jozef Jankovič (1937). The reasons why this is so, are based on the fact that Jozef Jankovič, as the award-winning artist of several monumental realizations (Grand Prix laureate of the Danuvius ‘68 international exhibition), was forced to “conceptualize” his artistic program in the same manner as in sculpture genre during early the 1970s: his computer graphics – the geometric figure’s transformations are the continuation of the existential line of his work. Computer graphics was a “solution from misery”, as one form of media in the then situation for Juraj Bartusz as well, which he used in the production of abstracted figure contours as a tool for the de-subjectivisation of an authorial gesture. It was definitely an attractive experimental medium for them, through which they both could work with shape modeling in the completely different conditions of the medium, unlike the sculpture medium. Although this text deals with video art rather marginally and is not related to the creation of autonomous videos, from the point of view of new media art history we cannot circumvent the contexts of its creation, just because the foundations of not only this video art offshoot, but also the foundations of its intermedia forms, video installations and video objects, were laid at the same time. The technical (im)possibilities and limits, imposed on the natural progression of art in the 1970s and 1980s, determined the intermedia forms’ history as a line of alternatives and “deviations”. The records from action art realizations – particularly of artists like Peter Meluzin (1947) and Vladimír Kordoš (1945), but mainly the experimental films of painters with conceptual-action targeting like Vladimír Havrilla (1943) and Ľubomír Ďurček (1948) were direct video production precursors. They preceded the characteristics of the autonomous video creation in many references, whereas the creation itself was definitively established around the mid-90s (Rusnáková, 2006, p. 61 – 74). After the first rudiments of video media in proto-forms, so-called “expanded cinema” (film projection, which is set into the environment in-situ) at the end of the 1960s, which were Stanislav Filko’s environments with integrated image and sound, we may consider Peter Rónai’s (1953) realizations as another turning point in video installations history. His work had a significant multimedia character already during the 1980s. He worked, for example, with photos layering and its photomontages, projected them through epidiascope; the TV set was readymade in his authorial perception (later as part of the video installation); he mechanically (taping the screen) intervened in the then television broadcast by means of the authorial form of so-called antivideos. Thereby, in many respects, he significantly predetermined the forms of “spatial” video media typical for the next decade.